Started in 2010, the Muncie Action Plan is a ten-year strategic plan for the city including action items related to beautification, education, social equity, and more. At the request of the Muncie Action Plan (MAP) Board of Directors and the City of Muncie, Ms. Dunaway led the effort to create the third iteration of the MAP in 2018 (“MAP3”). Ms. Dunaway led an “immersive learning” course during the spring semester with a group of hand-picked students to facilitate a series of public outreach meetings and focus groups to update and expand the first two MAPs. Mr. Johnson also helped lead a round table discussion as a volunteer from county government. During the summer, Ms. Dunaway led two open houses for a final round of feedback from the public and wrote the final plan, heavily utilizing the earlier research of the students. MAP3 can be found here. In partnership with Burayidi Consulting, LLC, Ms. Dunaway co-authored a feasibility study for the Gray Eagle Neighborhood Association. The neighborhood, adjacent to the Gray Eagle Golf Course, hired the consulting team to develop a series of proposals for how best to reuse the golf course if it were sold to a private developer. Goals of the project included maintaining the property values and aesthetic character of the existing neighborhood and area. All the proposals included accommodations for bike-friendliness and interconnecting the neighborhood with multi-use trails. Ms. Dunaway created the site plans and visualization renderings for each of the proposals as well as writing the sustainability guidelines and wildlife habitat management sections of the study. “ADVANCE is a collaborative process to increase prosperity for residents, businesses, institutions and local governments in the six-county east central Indiana region” (source). The original ADVANCE process of public input was held in 2015. Ms. Dunaway was asked by the State of Indiana to facilitate an all-day charrette held in Muncie with regional stakeholders on December 9, 2016, as the next step in the process. Outcomes of the charrette included visioning, strategies for economic development, and priorities for the future. Ms. Dunaway collaborated with a team from Flatland Resources and David Ferguson, Associate Dean of the College of Architecture and Planning at Ball State University, to plan and conduct the charrette. Interns Paige Story and Bud Tymczyszyn assisted with preparation and documentation of the charrette. Sensible Ecology created a conceptual master plan for the White River corridor from Muncie to Anderson at the request of the Hoosier Environmental Council. Included in the plan are various recreational trails, opportunities for economic development, and areas for land conservation. The plan is a holistic social, fiscal, and environmental alternative to the proposed Mounds Reservoir project. Sensible Ecology, including interns Taylor Firestine and Erin Cotant, also facilitated design charrettes with community stakeholders during the design process with the assistance of LAB Architecture + Design. Ms. Dunaway and Mr. Johnson provided GIS mapping services for the Heart of the River Coalition, creating maps that demonstrated the ecologically-sensitive and thriving habitat around Mounds State Park that would be flooded by the reservoir proposed by the Anderson Corporation for Economic Development. They proposed a system of multi-use trails around the park to connect it to the larger system of trails in the state, and cited locations for future developments such as a nature center. See the NUVO article about the project here. Keeping Hill is an ecologically responsible, low-impact residential community near Columbus, Indiana. Various sustainable building methods were utilized on the site, such as on-site stormwater retention, groundwater recharge, and small lot sizes. Ms. Dunaway was responsible for the ecological assessment of the site as a sub-consultant to Elements Engineering, LLC. The list of ecological recommendations included a regional ecological assessment, wildlife-friendly habitat creation recommendations, a recommended plantings and planting methods inventory, habitat restoration recommendations, and additional green building techniques recommendations. CONTEXT was hired as the landscape architecture firm for the design of Oil City Stadium in Whiting, Indiana. Ms. Dunaway was the primary designer in charge of developing the Stadium as a 3D model in SketchUp in cooperation with the consulting team and assisted with design development and drafting of the construction drawings. Ms. Dunaway served as the principal landscape designer for this $3 million recreational and educational trail along the Wabash River in Vincennes, Indiana. An existing, underutilized roadway along the river was repurposed to develop this multi-use trail as a tool for celebrating the historical significance of the Wabash to the City of Vincennes. New elements included the addition of “nodes” along the trail, featuring historic information on large, limestone monuments designed by Browning Day Mullins Dierdorf Landscape Architects. Each successive monument would describe an era of the river’s history in chronological order. An overlook placed at the end of Main Street marked the beginning of the trail while providing a panoramic view of the river and the Lincoln Memorial Bridge. The trail ended on the campus of Vincennes University, connecting the downtown with the campus. Ms. Dunaway was responsible for the decorative plantings along the trail and various bioswales, which contained plants native to Indiana commonly found on riverbanks. She directed the selection of all the materials used such as decorative pavers, and site amenities such as benches. She also assisted in leading the development of various features such as a “pedestrian boulevard” to welcome visitors on to the trail. HWC developed a Master Plan to be used by the City of West Lafayette and the school corporation to coordinate future Safe Routes to Schools activities and events. An evaluation of existing transportation modes and routes to and from the school facilities within the West Lafayette Community School Corporation was completed, which Ms. Dunaway assisted in developing. Likewise, she helped write recommendations for ways to improve and enhance the safety and walkability of these routes were made. Key stakeholders and community members were engaged for comments, concerns, and feedback throughout the process in a series of meetings that Ms. Dunaway helped to direct. Pedestrian access was improved around both Cumberland Elementary School and Happy Hollow Elementary School. Improvements elements included crosswalks, new curb ramps, sidewalks, and solar-powered flashing school zone beacons. Surface sidewalks were added to provide connectivity between the walkways on the campus and the street. More information can be found on the Safe Routes to School website. Read the Journal & Courier article. When Carbon Motors was determining where to locate their factory, they narrowed down their options to five cities including Connersville. The City hired Hannum, Wagle, & Cline to market Connersville to Carbon Motors and Ms. Dunaway led the visioning team. She created graphics showing the potential for reusing the empty Visteon factory, which would be renovated to obtain LEED certifications. Other graphics proposed creating new mixed-use housing and commercial areas that connected to the existing city grid and routing greenways to connect the city to the factory with multi-modal facilities. Carbon Motors ultimately made their home in Connersville in 2010. Ms. Dunaway assisted with this plan for the future development of SR 37 through Monroe County. Planning needed to accommodate current development patterns on SR 37, as well as the potential transformation of SR 37 into Interstate 69 in 10-20 years. In addition, the plan addressed issues related to the potential development of a new route for I-69 through the southwest portion of the county. Specifically, Ms. Dunaway played a primary role in planning for the ecological implications of the potential SR 37 upgrade, such as erosion, water quality control, and tree and wildlife protection. The plan included significant coordination with local officials as well as stakeholder meetings. Ms. Dunaway played a key role in developing the environmental planning for this project, as well as assisted with the technical consulting and mapping aspects of the plan. The plan centered on the future growth and land use patterns in the community. The planning project efforts included focus groups, stakeholder meetings, public meetings, and related coordination efforts. Ms. Dunaway directed the environmental planning portions of the plan such as forest protection areas and water quality preservation. She also assisted with the land use, infrastructure, and mapping aspects of the plan. Critical to the success of the plan was accommodating planned upgrades to US 50 through the City, as well as the growth of the Muscatatuck Urban Training Center (MUTC) just east of the City. The plan developed future land use plans, future infrastructure extension plans and development buffers related to MUTC. Ms. Dunaway served as the site and landscape designer for the development of a master plan for the redevelopment of downtown Greenwood. HWC’s work included both master planning of Old City Park in the downtown area, as well as preparation of a conceptual master plan for the surrounding downtown and Old Town neighborhoods. Plans included construction of a new “town square” to connect the downtown to the park, and improving Pleasant Creek as a central feature in the park. 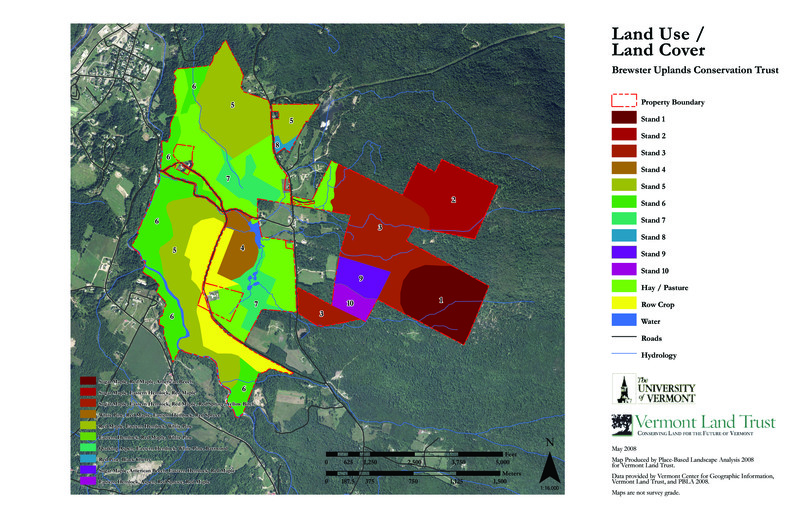 As a participant in a required course entitled “Place-Based Landscape Inventory and Analysis” at the University of Vermont, Ms. Dunaway aided in the development of an ecological assessment and preservation recommendation plan for the neighboring Villages of Cambridge and Jeffersonville in rural Vermont. Regional ecological assessments included wildlife corridors, plant species, and hydrology. Cultural assessments included recreation, cultural history, and land use. Participants in the course catalogued the ecological and cultural assessments and provided long-term ecological and historic preservation plans for the villages, which were also presented in a public presentation. Critical to the success of the project was the involvement of the public and stakeholders in each stage of the research and development, as well as the thorough investigation conducted by the course participants. Ms. Dunaway served the site and landscape designer for this project while employed at Weihe Engineers. The project included the new church and parking with a multi-phase implementation plan, as well as extensive landscape plantings and stormwater management features. Since the church was built at the intersection of two major thoroughfares, team coordination was a demanding component because numerous utility companies were involved.